Need a way to wake up in the morning and become energized and ready for the day? Kettlebell and Core might just be the answer for you! Join Whole Fitness for a fun and invigorating class that burns calories and builds core muscle! 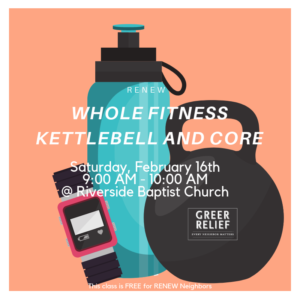 This class will be held on February 16th from 9:00 AM – 10:00 AM at Riverside Baptist Church. 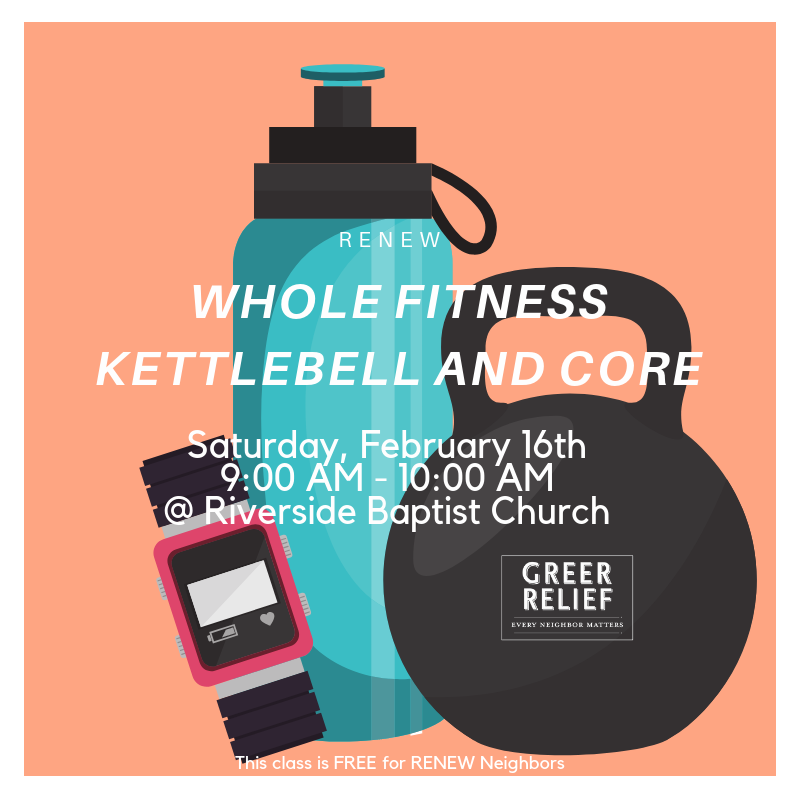 This event is FREE for RENEW neighbors. Only participants 18 and up are eligible for RENEW Rewards. Register here.